Recipe to prepare mussels in a different way. Erin processes Greensweet liquid stevia. Dry the mussels with kitchen paper. Drain the sauerkraut and remove with two forks. Heat a thick-bottomed pan and allow 30 grams of butter to melt. Spoon the sauerkraut and the spring onions. Pour the wine over and wait until everything has boiled. Temper the heat source. Add Greensweet-stevia. Place the lid on the pan and let it simmer for 12 - 15 minutes. Heat a wok and let the oil roll around. 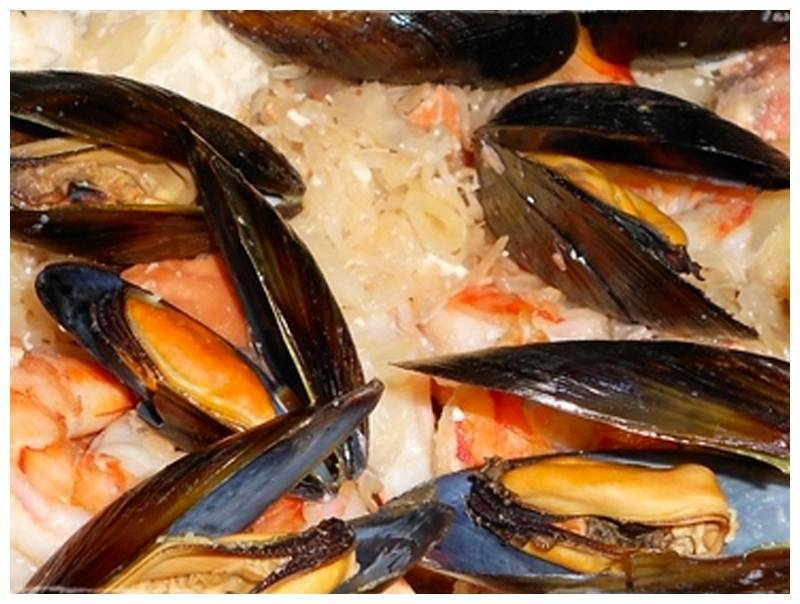 Do not bake the mussels for much longer than 3 minutes under continuous shoving. Add a knob of butter at the last minute (the remaining 30 grams). Spoon the sauerkraut as a bed on preheated plates. Arrange the mussels in the middle. Sprinkle with the garden herbs.